Ever since the idea was sparked in 1989’s Back To The Future II by a young Marty McFly’s space-age sneakers, the idea of self-lacing footwear has both enthralled the public and pushed the brightest design minds at major footwear brands to actualize the futuristic idea. 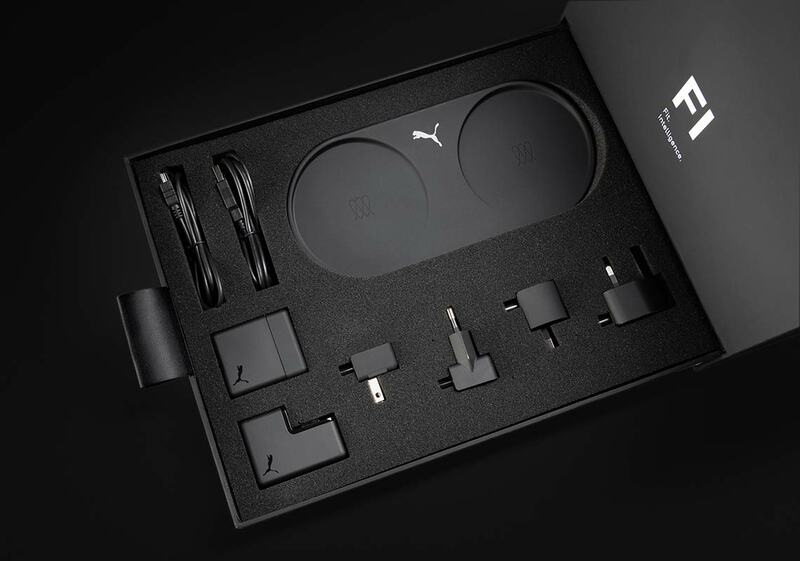 Puma is one of those aforementioned brands, and they brought their first wirelessly connected “Adaptive Fit” shoe to market in 2016 with the release of the AutoDisc, a shoe that occupied similar airspace to Nike’s E.A.R.L tech or adidas’s self-lacing efforts from the early ’00s. 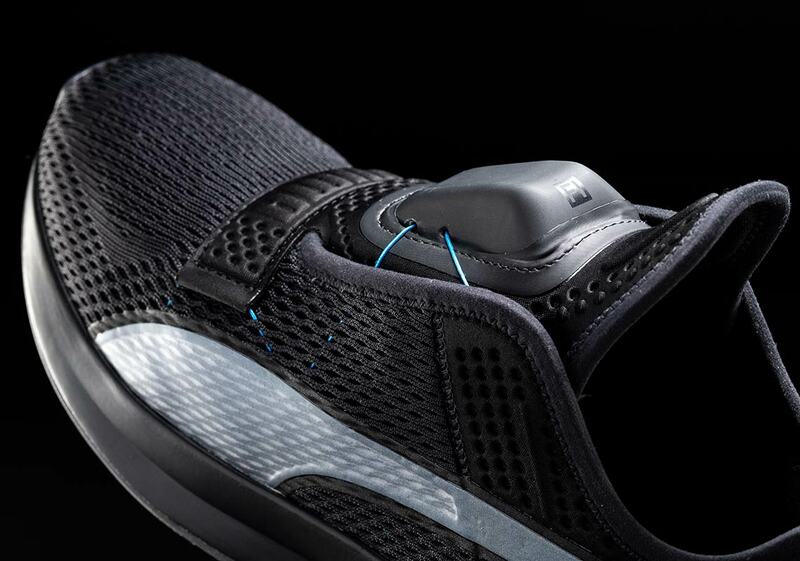 Now, they’re taking things a step further, as they recently unveiled a “Fit Intelligence” self-lacing technology on a brand-new cross-training silhouette. 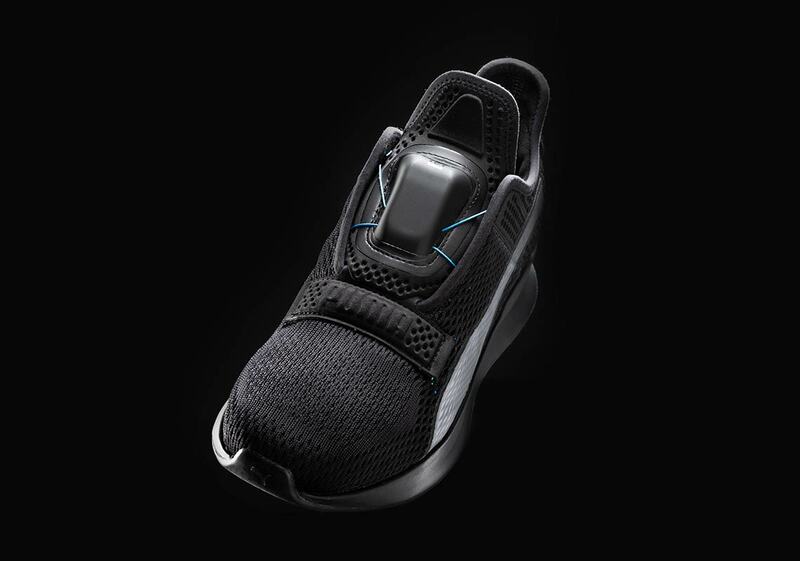 Using a micromotor placed over the shoe’s tongue and an industrial-grade fiber support system, the shoe’s fit can be adjusted by simply swiping up or down through a smartphone app or on an Apple Watch. 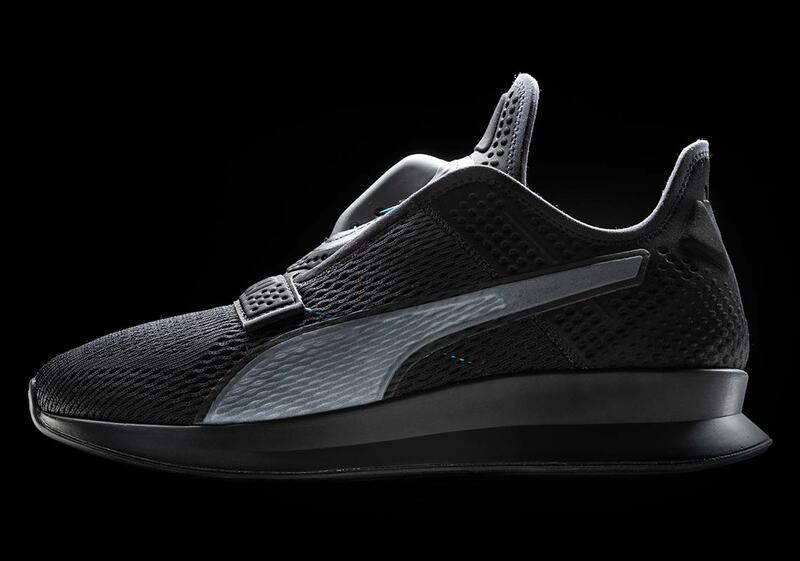 However, it’s more than just a customizable accoutrement for a performance sneaker. 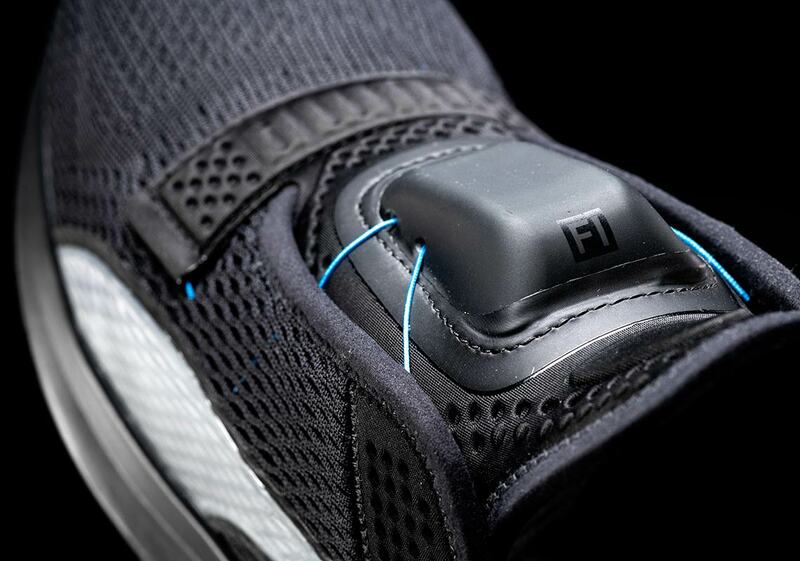 What sets the “Fit Intelligence” system apart is its ability to learn the shape of the wearer’s foot and adapt itself to provide the best lockdown and support for each individual foot shape. 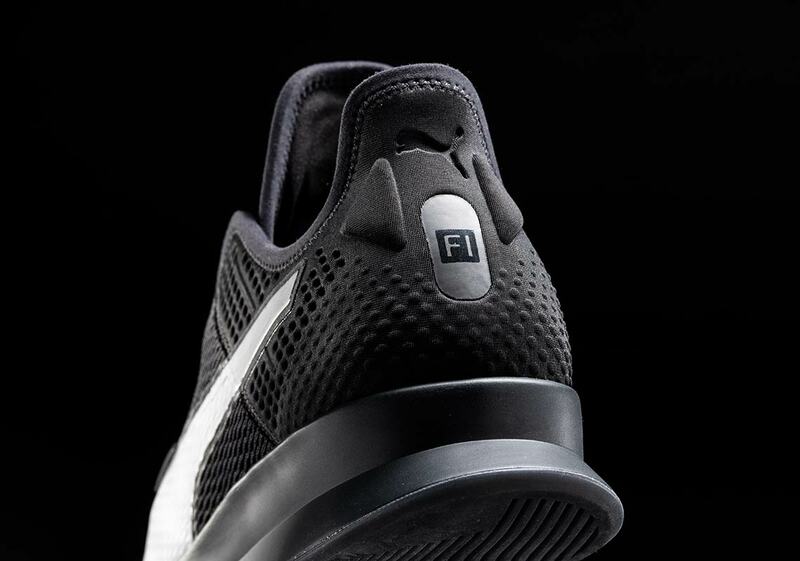 From an aesthetic standpoint, the Fit Intelligence trainer offers a, overall look that should be inherently familiar to fans of the brand’s running or cross-training products. A perforated grey mesh upper is accented with a textured silver formstripe/a tonal embossed Puma hit above the toebox. The lacing system is contained within a silver piece on the throat, and the cables are dressed in an aqua blue for a light pop of color. A simple midsole then offers workout-ready cushioning and support. 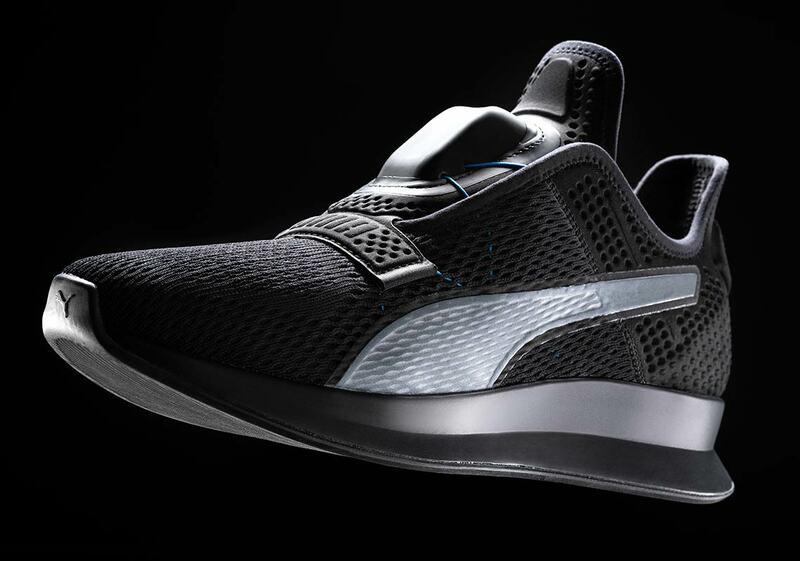 Although the shoe doesn’t release until 2020, interested parties will be able to sign up for beta testing on Puma’s PUMATRAC training app, which is available on both iPhone and Android in the coming months. Grab a first look at the futuristic new kicks below, and stay tuned for further updates as they’re available. 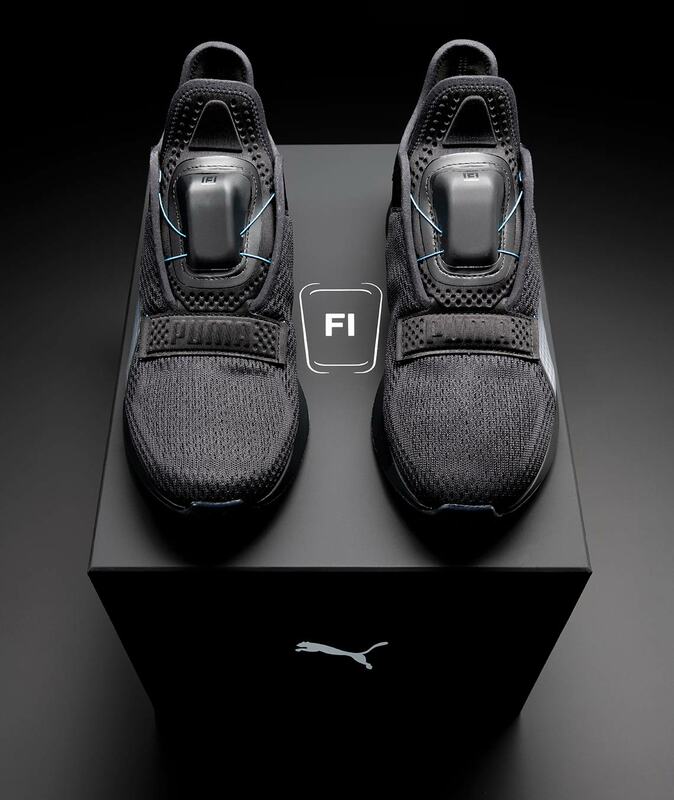 The post Puma Is Launching Its Self-Lacing “Fit Intelligence” Shoe In 2020 appeared first on Sneaker News.